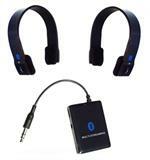 KOKKIA iSplitter_plus_2MarathonS: Multi-Stream iSplitter 3.5mm Universal Bluetooth Stereo Transmitter PLUS 2 MarathonS EDR Bluetooth Stereo Headsets. 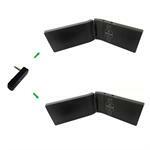 KOKKIA M10 (NEW Luxurious Black) Bluetooth Stereo Speaker (Stereo Music and Voice). 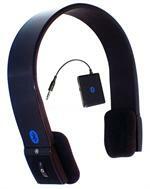 Pocket Size, Foldable, Great Audio, Long Play Time and Loud. KOKKIA i10sWatch (Black): The Ultimate Watch. 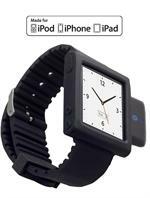 (Black iPod Nano 6G watch band + i10s Luxurious Black Tiny iPod Transmitter). iPod not included. KOKKIA i10Watch: The Ultimate MULTI-STREAMING Watch. 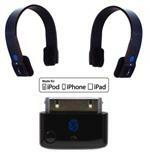 (i10 Luxurious Black MULTI-STREAMING Bluetooth iPod Transmitter + Black iPod Nano 6G wrist band). KOKKIA i10sWatch (COLOR OF THE YEAR TANGERINE TANGO) Ultimate Fashion Watch. 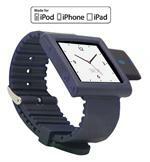 Nano 6G watch band, with Tiny Luxurious i10s Bluetooth iPod Transmitter. 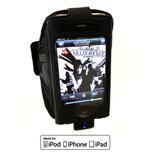 KOKKIA i10Sports The Ultimate MULTI-STREAMING Sports Arm Band. 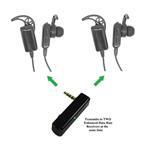 KOKKIA A10m_plus_2S10: Multi-Stream A10m 3.5mm Universal Bluetooth Stereo Transmitter PLUS 2 S10 EDR Bluetooth Stereo Headsets (Music and Voice). KOKKIA iM10 Multi-Stream (Black) Tiny Bluetooth iPod Transmitter for iPod/iPhone/iPad PLUS 2 EDR Bluetooth Stereo Headsets (Music and Voice).